That is the question. 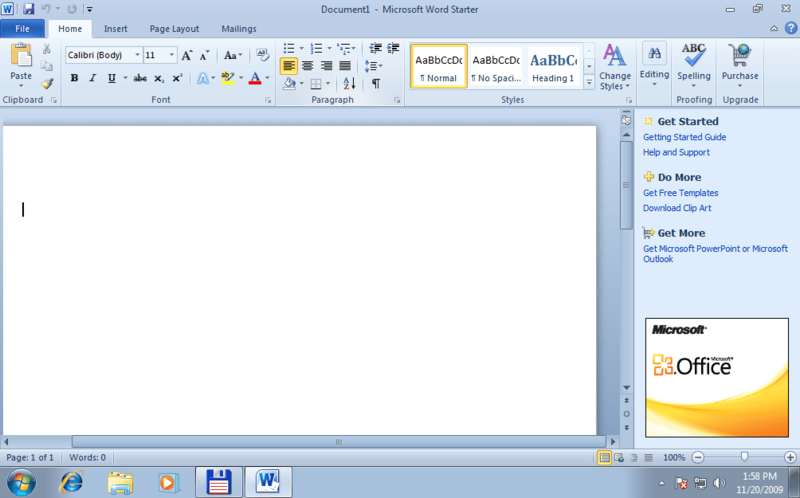 Sure, we are used to Microsoft Word, but is it really all that great? Let’s take organization. If you halfway know what you’re doing you can create a style with chapter headings. Hell, you might even go down the rabbit hole of Microsoft formatting and set your margins, tabs and all that. Before you know it a half hour has gone by. You flip back and forth between your notes. Maybe you use Evernote or a Moleskine in your pocket. Maybe you use the dreadful Word sticky notes or even the comments. Then you start to write. You can scroll to the chapter or click on the link, but sometimes that doesn’t work as well as you’d like. Maybe you auto-selected the entire chapter and deleted it. Maybe your older PC is still dealing with your aquarium screensaver and decides to give you the blue screen of death. Whatever the situation, chances are you have at least one Word horror story. Word was created in 1983 by Charles Simonyi and Richard Brodie, former Xerox programmers hired by Bill Gates and Paul Allen in 1981. It was designed for Xenix and MS-DOS. It had several versions, none very successful because back then computers were for playing chess and maybe figuring out how to calculate interest payments. There was also program for Macintosh called Microsoft Write and a one-off version for Atari. In 1989, it was slightly modified for Windows. It was a colossal success and pretty much cemented Microsoft’s place as the Catholic Church of software companies. Neither writers nor designers were consulted. There was no user experience research done at all. They gave us the program and it was up to us to learn to use it. Most writers back then used a simple method. 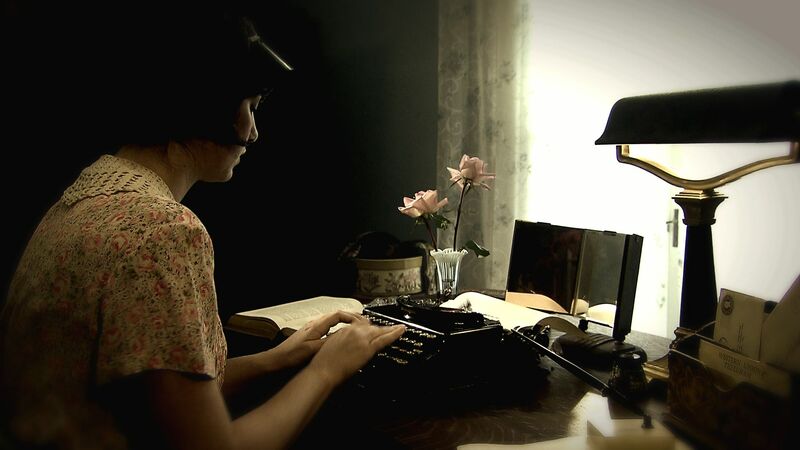 They wrote in a notebook or on a typewriter. They kept notes and went to the library for research. Sometimes they might spread their various chapters and drafts on the floor to arrange things. They certainly did not work in the linear way dictated by some computer program. But after the demise of Word Perfect, a slightly better program designed to do the same thing, Word was the only game in town. Use it or screw off. Other programs came along, most of them cloning the crappy interface decisions and again repeating the crummy, non-writerly user experience. And we still use it. Submit any work anywhere and you will find the default format is .doc or .docx. Microsoft: it’s not that it’s garbage. It’s not that it’s everywhere. It’s that it’s garbage and it’s everywhere. 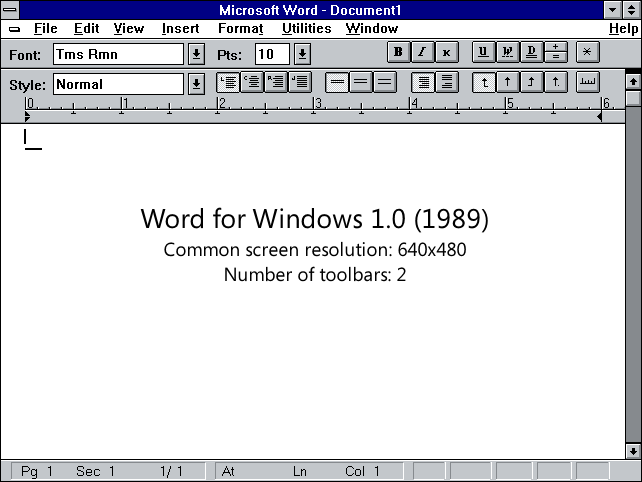 Features include a corkboard, the ability to rearrange files by dragging-and-dropping virtual index cards on the corkboard, an outliner, a split screen mode that enables users to edit several documents at once, a full-screen mode, and “snapshots” (the ability to save a copy of a particular document prior to any drastic changes). 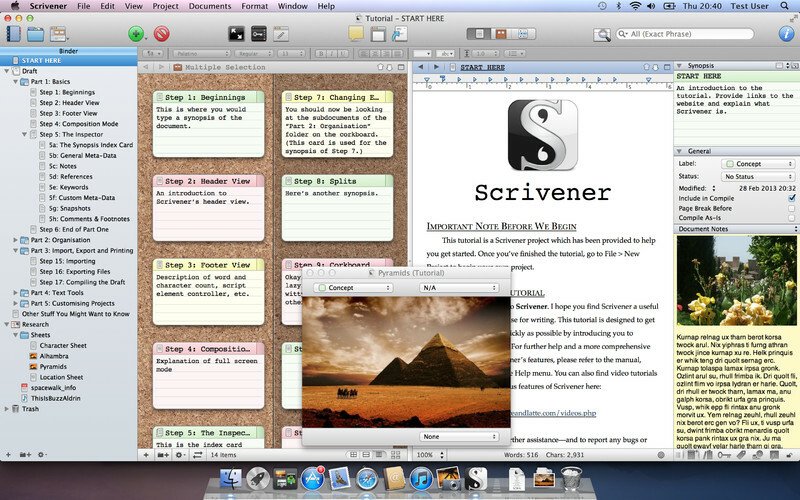 Scrivener allows photos to be dragged into its interface as well. Because of its breadth of interfaces and features, it has positioned itself not only as a word processor, but as a literary “project management tool,” and includes many user-interface features. You hear that? A project management tool. That’s right, and the project you’re managing is a writing project. Non fiction? Fiction? Blog? Yep. You want notes? You want a corkboard? You want multiple drafts conveniently located in the same place? How about pictures, audio clips, scanned documents, websites? Yep. All right there, all out of the way until you need them. And don’t worry about the formatting, because that’s a separate operation. As is editing. Yes, you need to rethink the way you work, but really–when you think about it, you are merely unlearning a crappy workflow dictated to you a couple dorks who are now fat millionaires whiling away their endless idle hours staring at Elliot Bay through their mansion windows while sipping from a bottle of wine that cost more than your last vacation. This program is fantastic. It will help you write better. It will help you become more efficient and organized so you can focus on story problems, not software problems. It’s not just me who thinks so. and dozens of other raves. So seriously, writers. Check it out. You won’t go back to the Microsoft nonsense. I promise. The program is available free for thirty days. Then it’s forty bucks, the cost of eight wedding cake lattes at your Barnes & Noble Starbucks. Posted in general writing, research, technique, Tools. Bookmark the permalink.